Empower our injured troops and first responders. Donate online today. 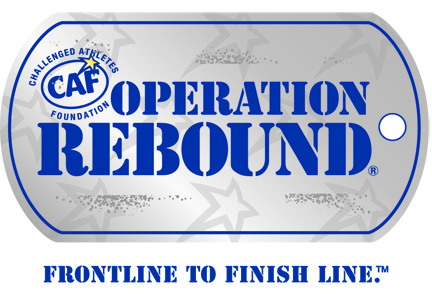 Challenged Athletes Foundation's® (CAF) Operation Rebound® (OR) program strengthens the mental and physical well-being of veterans and first responders with permanent physical injuries by providing them opportunities to use sports and fitness to re-integrate into our communities and by empowering them through sports to lead productive, active and fulfilling lives. Thank you for supporting our injured troops and first responders get from the Frontline to the Finish Line. For questions regarding your contribution, contact nico@challengedathletes.org.